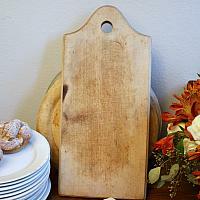 Vintage Country Breadboard or Cutting Board with wonderful signs of wear and cut marks, loads of character. 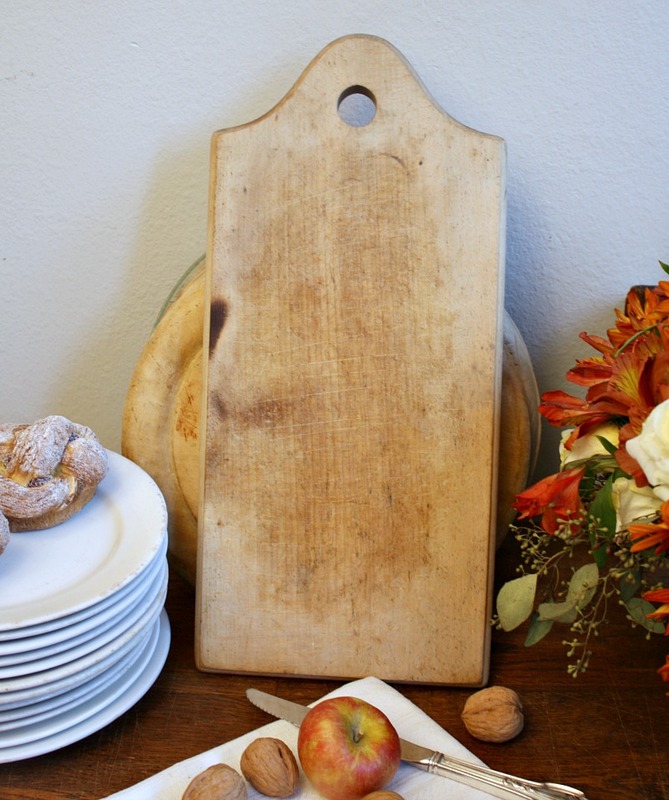 A beautiful decorative addition to your French Country kitchen, the sheer charm of this makes it a statement accent piece to display. 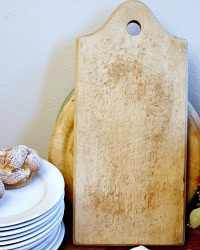 The hand carved board has the original patina, a time worn appeal - everything we adore. 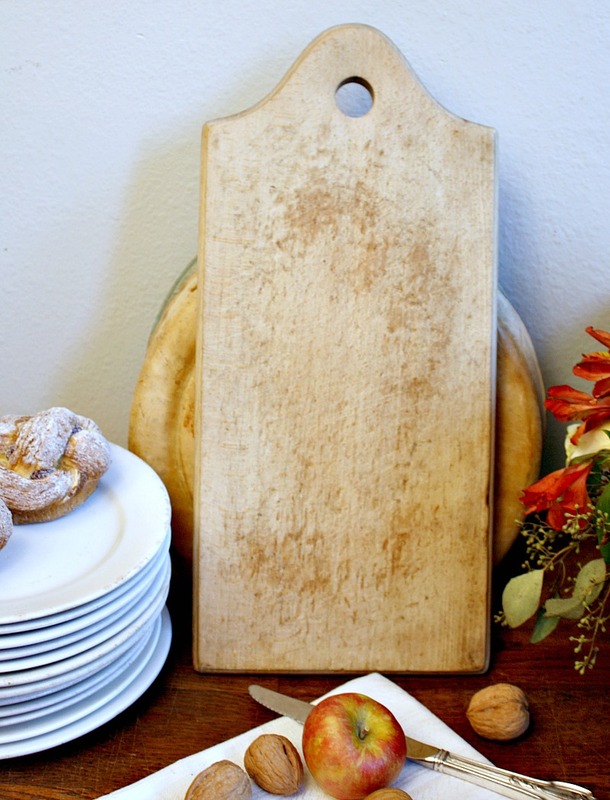 Rustic, perfect to serve your home made bread, or crackers and cheese, for entertaining guests. Country rustic vintage condition, with scratches, marks and wear befitting its age as shown in photos. One side has a burn mark from that time when Pauline placed it too near her simmer pot of Alsace soup. Measures 18" x 8-1/4" x 1".